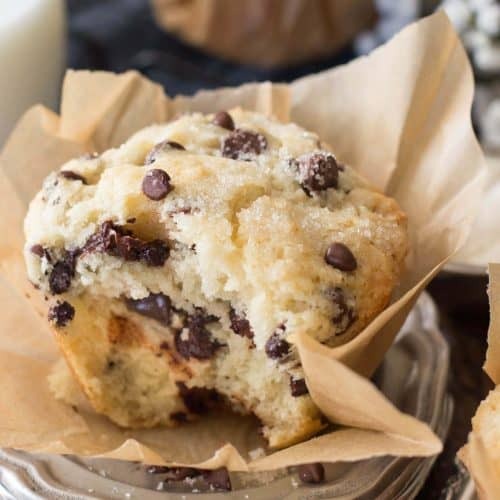 Sweet, soft, and fluffy bakery style chocolate chip muffins. 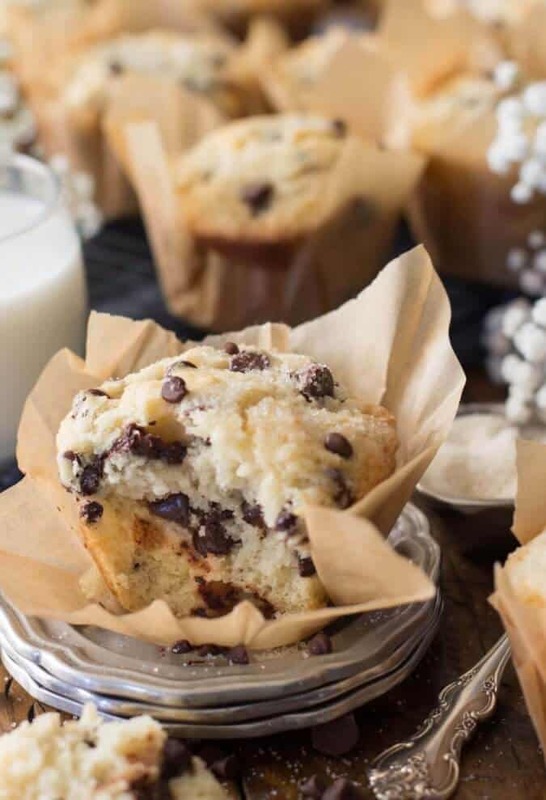 At the time of this writing, if you google “chocolate chip muffins”, you will get 1,260,000 results. That’s over a million results, friends. 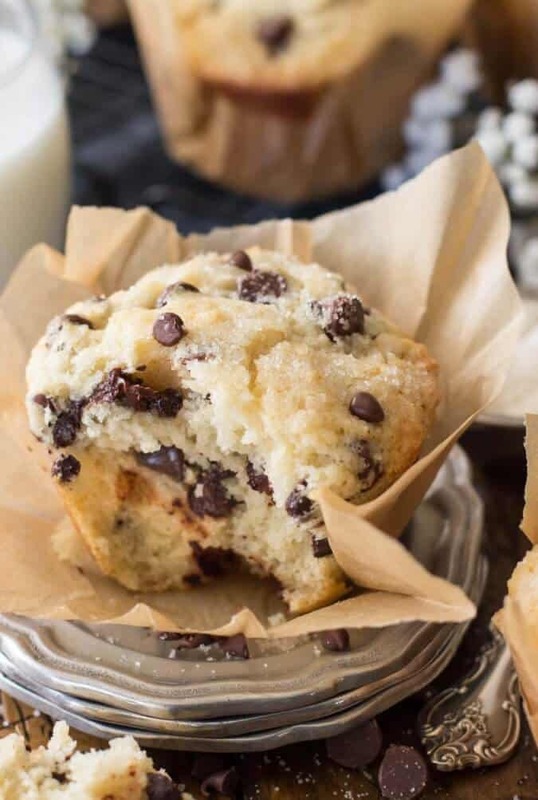 A million chocolate chip muffin recipes and I have the nerve to suggest that I have something new for you, something that’s better than a million other recipes. But that’s exactly what I’ve got for you today, and considering that you’re here and maybe (hopefully?) you’ve been following along with my recipes, I’m going to assume that you and I have similar taste, and you are going to love this recipe as much as I do. As usual, this recipe went through many different versions before settling in its final form. I wanted these chocolate chip muffins to be soft (thank you, cornstarch, for finally solving that for me! 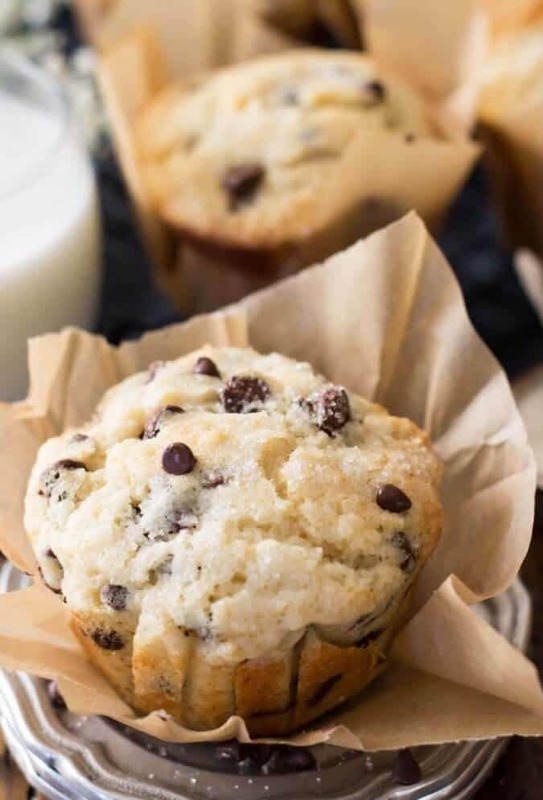 ), fluffy (an extra, well-stirred egg white), and definitely not dry (do not underestimate the moistening power of buttermilk, it helps give these muffins the best texture you could ever ask for). I wanted them to be big and proud, like something you’d see in a New York City bakery display. I finally found this article from The Kitchen Whisperer, which solved all of my problems. Evidently, if you start with your oven on a high temperature and then drop the temperature about a third of the way through baking, your muffin tops will spring to life and your muffin bottoms won’t burn or dry out (this was another thing I’d been struggling with). 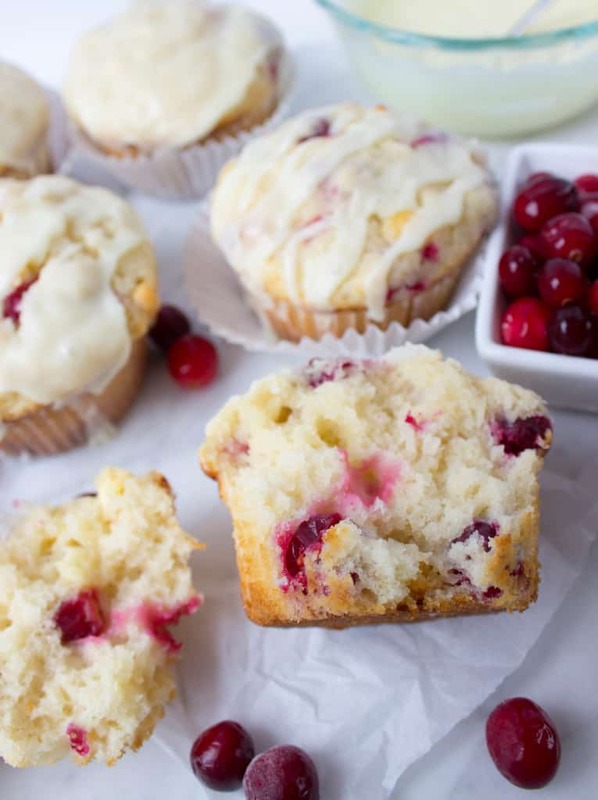 Mondays call for muffins. 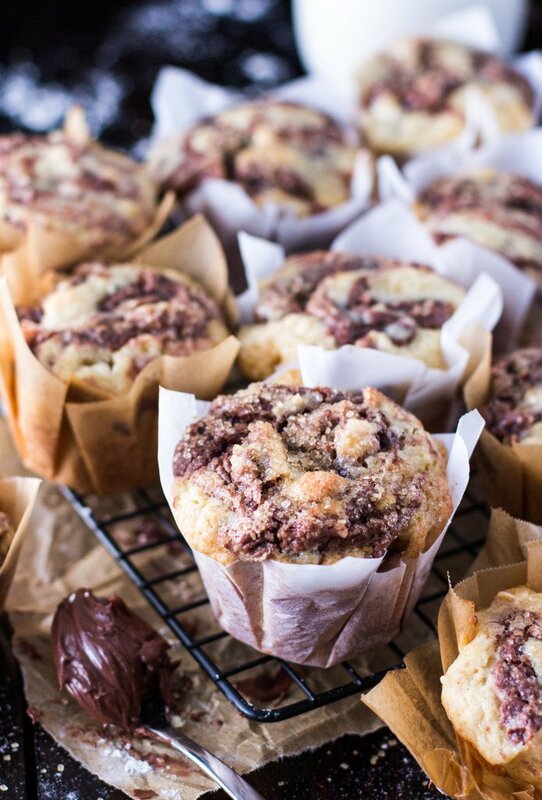 Big, soft, fluffy muffins with extra chocolate and well-sugared tops. 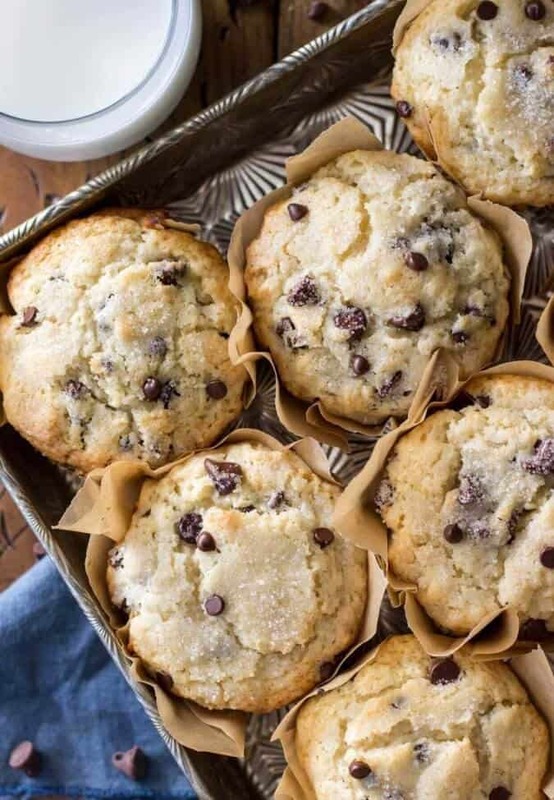 I hope you’ll try these out and let me know in the comments how you like them, and how they stack up against the one million-plus other chocolate chip muffin recipes out there. 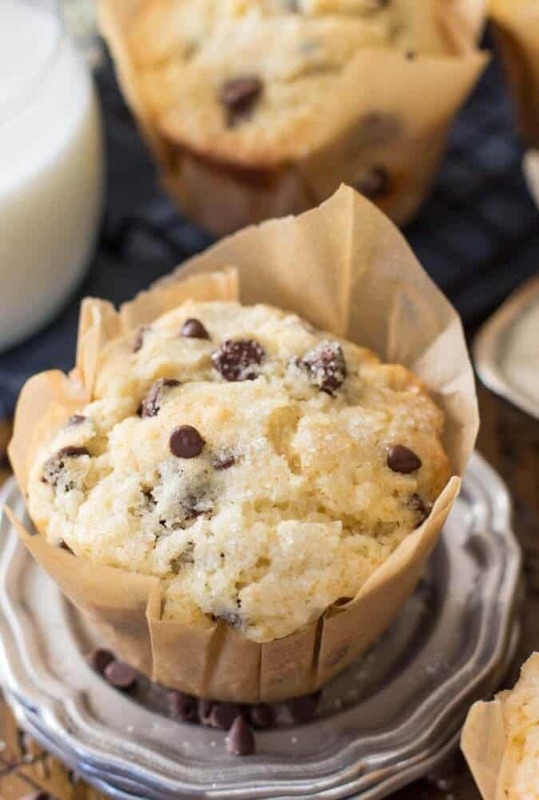 Soft, fluffy, chocolate chip studded muffins with sugar shellacked tops. Combine butter and canola oil in a large bowl. Stir well. Add egg, egg white, and vanilla extract. Stir very well, until all ingredients are thoroughly combined. Add buttermilk and stir well. In a separate bowl, whisk together flour, baking powder, corn starch, and salt. Fold dry ingredients into wet gently, taking care not to overmix. Once about half of the dry ingredients have been incorporated into the batter, add in chocolate chips and continue to fold in to batter until all ingredients are just combined. Preheat oven to 425F (218C) and line muffin tin with paper liners. 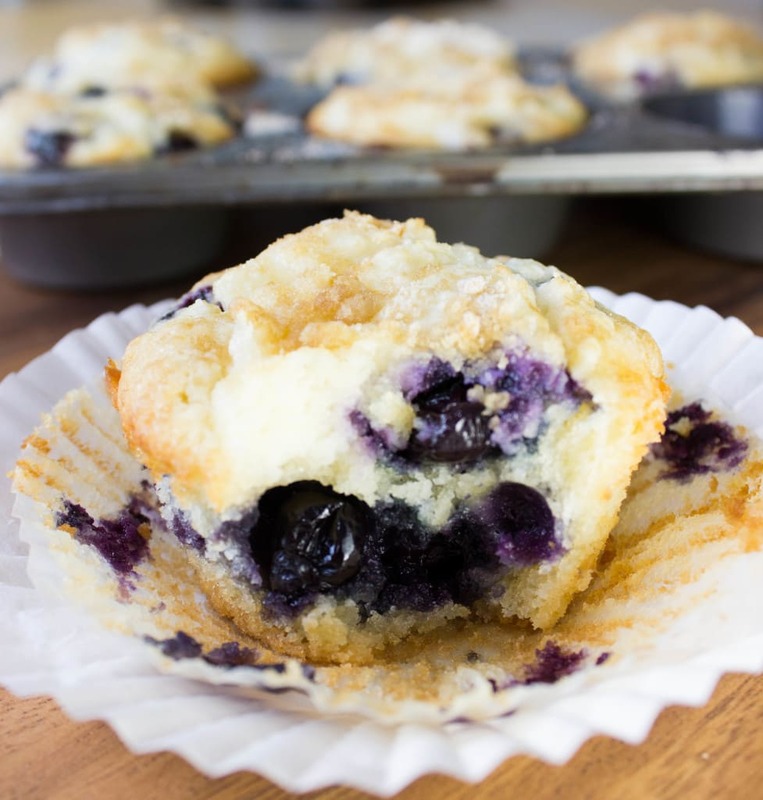 Once oven has preheated, portion batter into 6-cavity large muffin tin (you may also use regular, 12 count muffin tin, you will just need to bake them for less time), filling each tin all the way to the top with batter (without overflowing). Sprinkle tops generously with sugar and place muffin tin in preheated oven. Bake on 425F (218C) for 8 minutes and then reduce the oven temperature to 350 (177C) (do not open the oven door or remove the muffins, just leave them in and reduce the temperature) and bake another 15 minutes, or until tops are just beginning to turn golden brown (if you are using a 12-count muffin tin rather than jumbo-sized, these will not need to bake as long. Start checking your muffins after 7-8 minutes on 350F (177C). *If you don't happen to have buttermilk, you can use this substitute: pour 1 1/2 teaspoons lemon juice or vinegar into a measuring cup and then fill up to the 1/2 cup line with regular milk. Stir well and allow mixture to sit for at least 5 minutes (it will thicken) before using. **This is optional, it helps give the muffin tops a higher rise but you can certainly put them straight in the oven without waiting and they'll still taste delicious. Ideally you would let the batter set at least one hour, but I found 15 minutes gives me a decent rise (the muffins in the photographs were allowed 15 minutes) while still not dragging out the process too much. Special thanks to The Kitchen Whisperer for the great tips that helped make these muffins truly "bakery style"! Previous Post Gingerbread Cupcakes & A Giveaway! I made these yesterday and LOVED them!! !